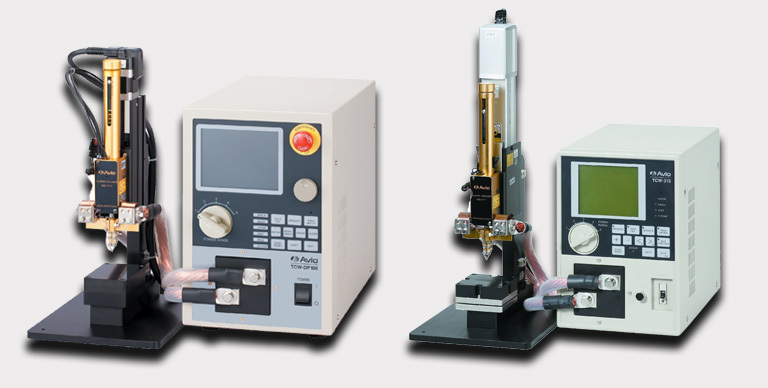 Advanced Integrated Technologies is an equipment provider for micro, small, and large spot welding machines and electrodes, as well as ACF bonding and hot-bar soldering equipment. AIT also proivdes wire EDM and CNC machining services. Contact us today for assistance with your next project. AIT started out as a precision machine shop, and today custom machining is still the core of our business. We run 5 axis CNC lathes, CNC mills, wire EDM, ram EDM, surface grinding, laser welding, anodizing, and many more services. Over the last 35 years, fast turn around and great customer service have built our reputation. 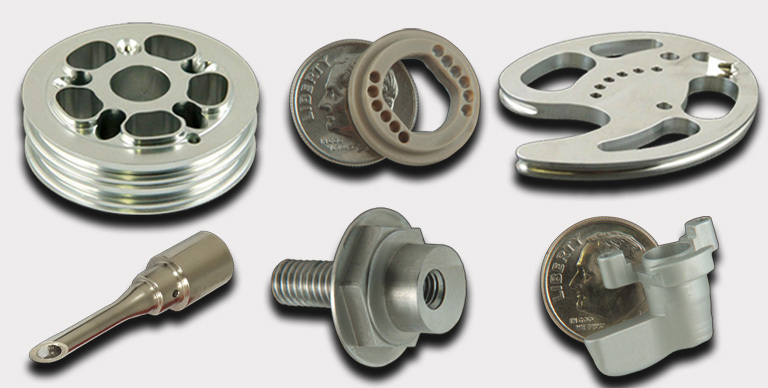 We can provide the machining services you need at an affordable price, with quality that exceeds customer expectations. Call us today. AIT is an equipment and technical support provider offering Nippon Avionics ( Avio ) brand of resistance spot welders and accessories as well as Sunstone brand spot welders. 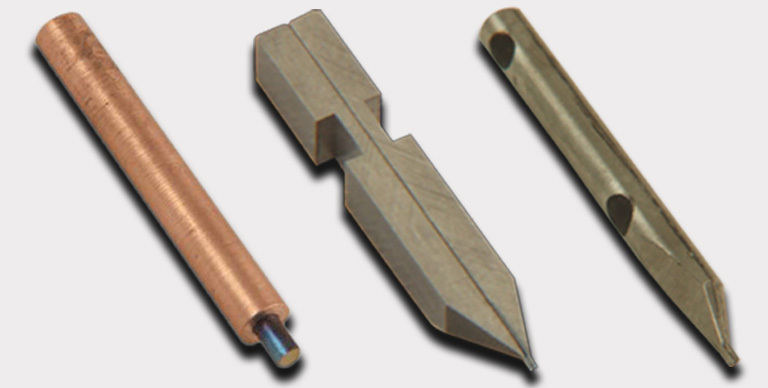 Avio and Sunstone welders electrode sizes range from micro electrodes with tips smaller than .005” up to about ¼” in diameter. We encourage customers to send in samples for a free test weld. Get the benefit of our 25+ years of experience designing and manufacturing electrodes for the small and micro spot welding industry. At AIT, we use high precision machines to build our quality electrodes with great consistency, at a price far below that of other equipment manufacturers. Whether you are looking for Miyachi style electrodes, Avio, McGregor, or a custom design, we can provide the electrodes you need here at a price you will like. Pulse heat reflow soldering thermodes ( hot-bars ) are our specialty at AIT. Our quality will amaze you. 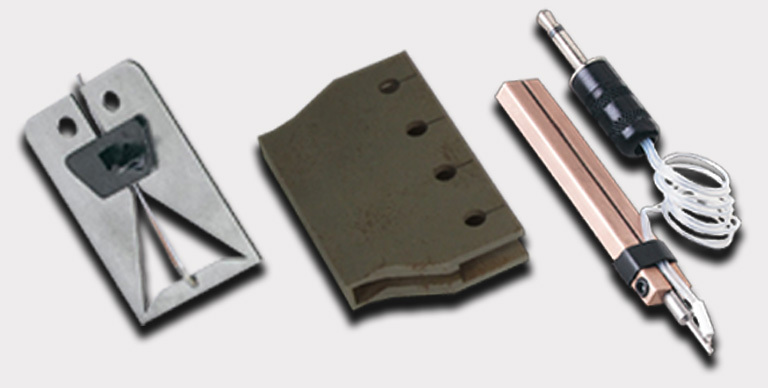 We offer both standard design and custom thermodes for any application. Regardless of the brand of equipment you are running, we can build your thermodes at a price much lower than you can buy them from your equipment manufacturers. Miyachi, Avio, Hughes, and many other designs are available. Click here to view our selection. 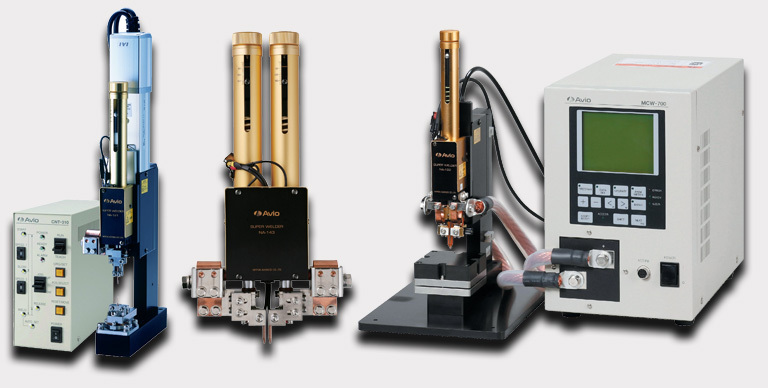 AIT is a provider of Nippon Avionics ( Avio ) brand of pulse heat hot-bar soldering equipment. 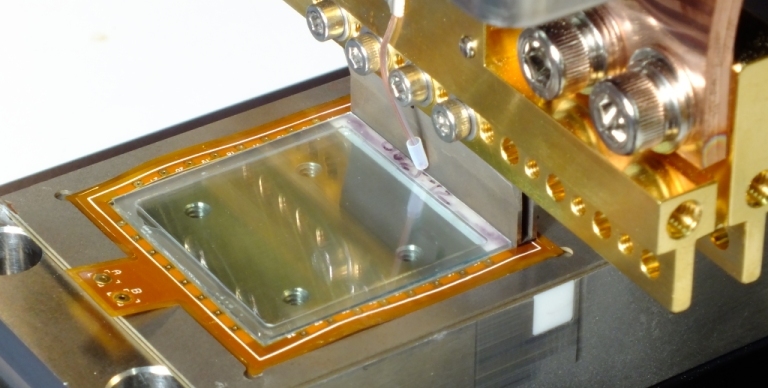 We have solutions for everything from ACF bonding, micro spot soldering, flex on glass, flex on board, thermocompression bonding, and heat sealing. AIT has a limited number of rental machines available for customers wishing to test the hot bar bonding process without having to purchase a machine. We also do contract hot bar soldering and ACF bonding.